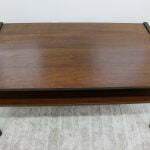 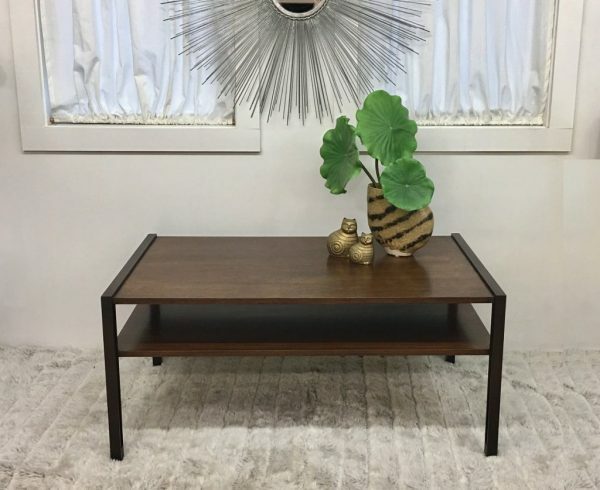 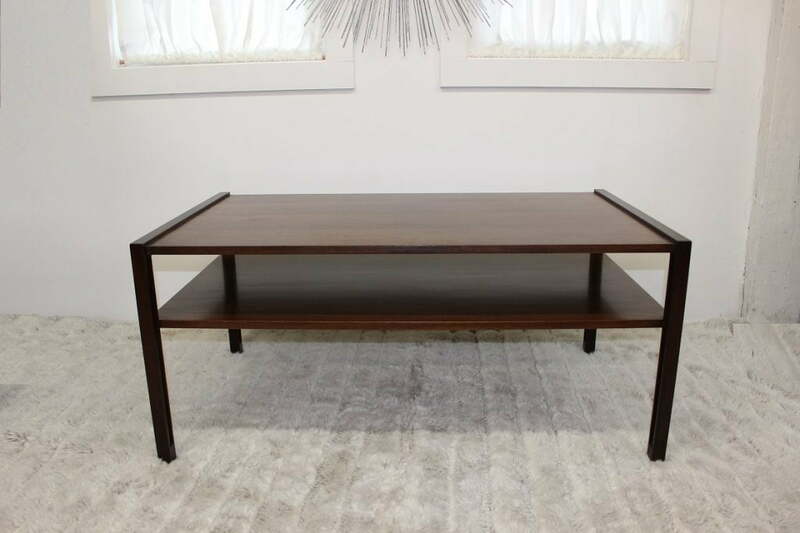 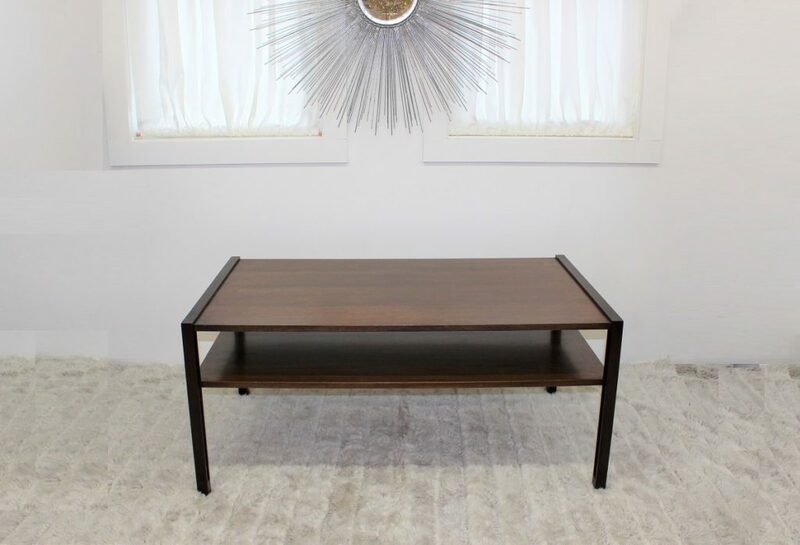 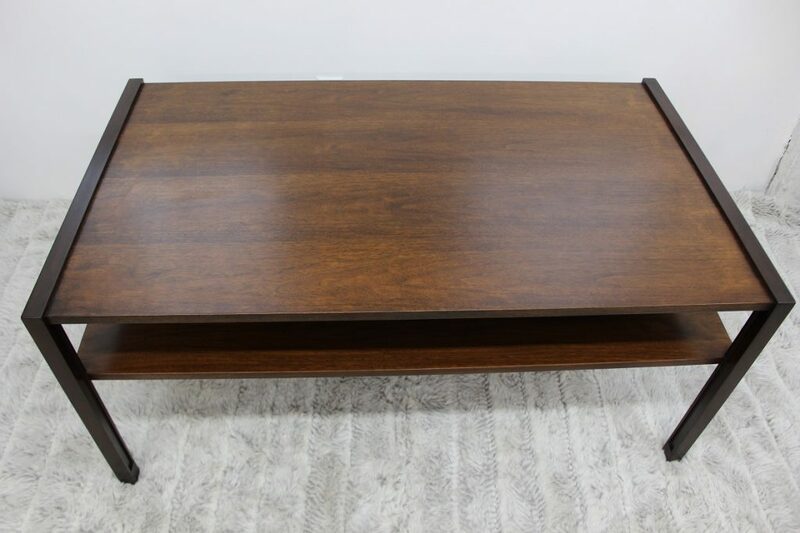 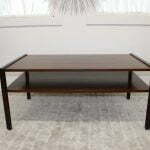 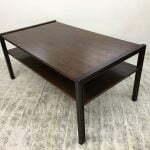 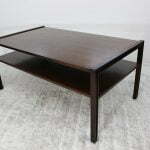 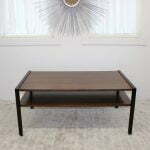 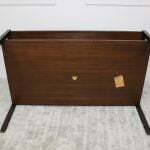 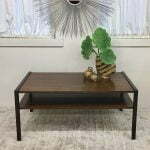 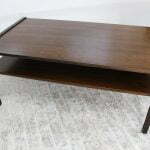 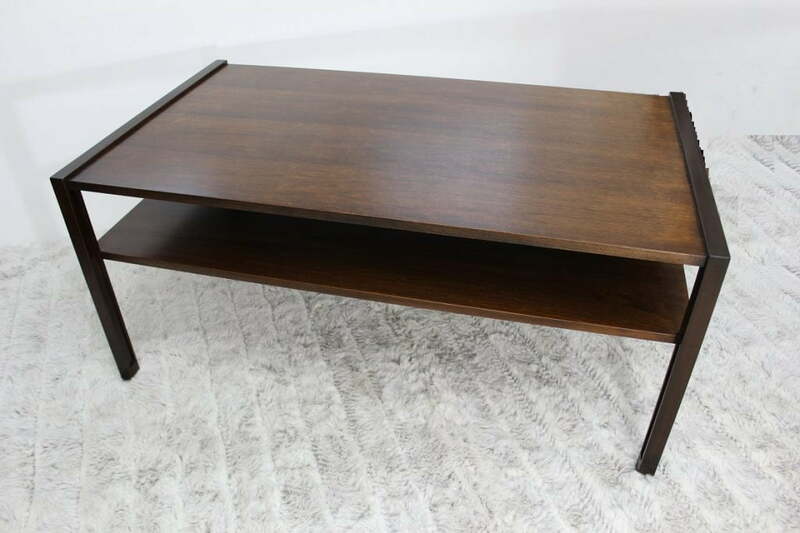 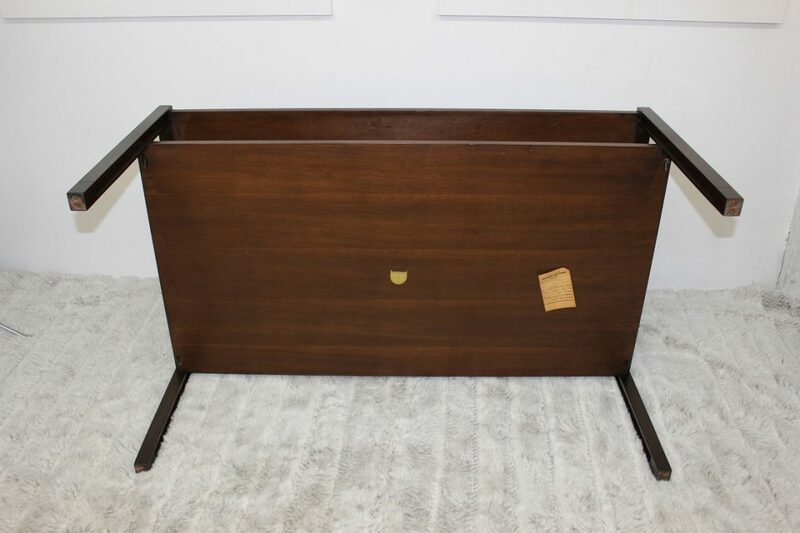 This Dunbar Coffee table is made of Walnut, it has two tiers floating on the beautiful and simple straight legs. 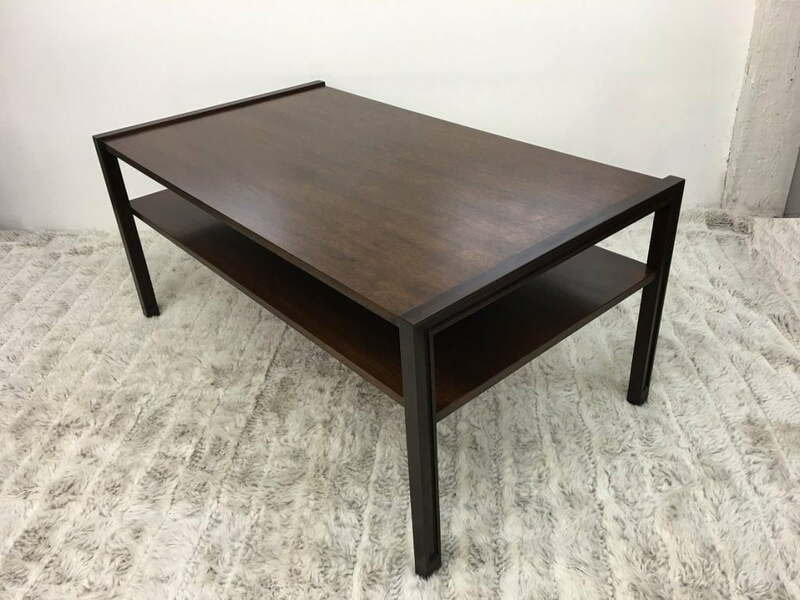 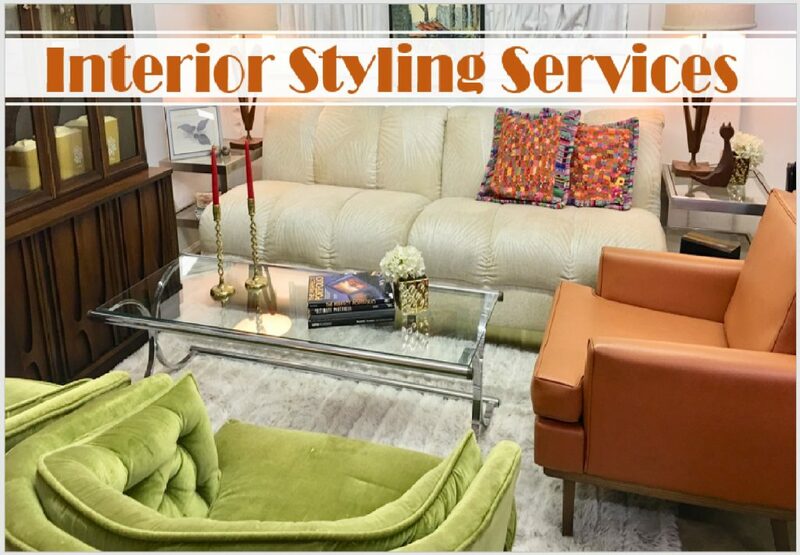 The sides have a channel that goes along the legs to give it an added detail without compromising the simplicity of the design. 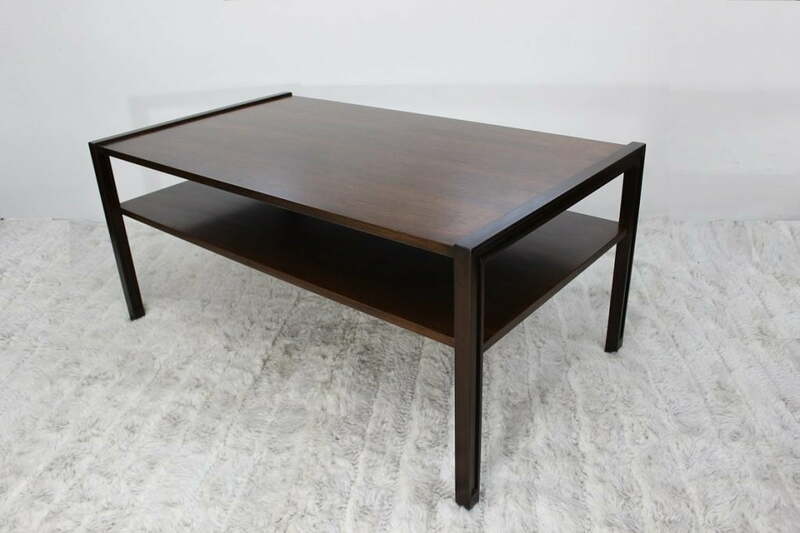 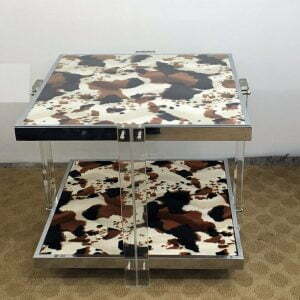 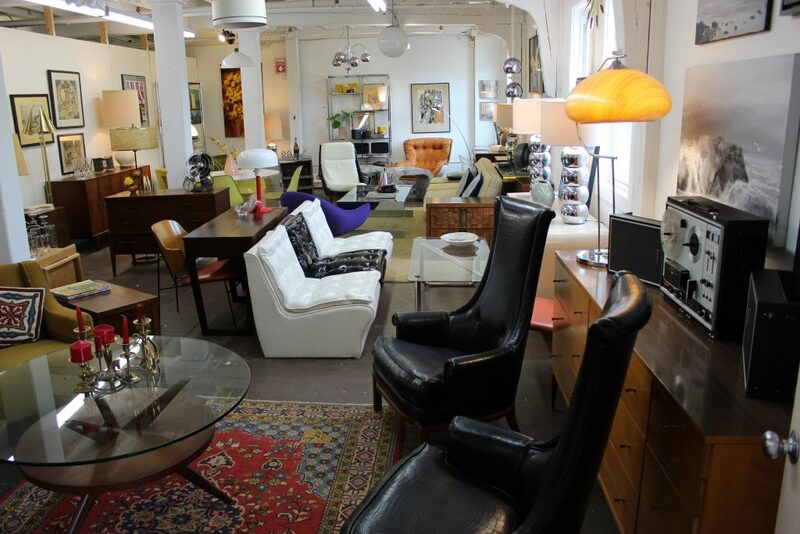 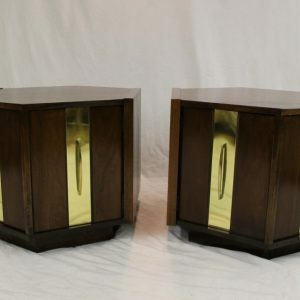 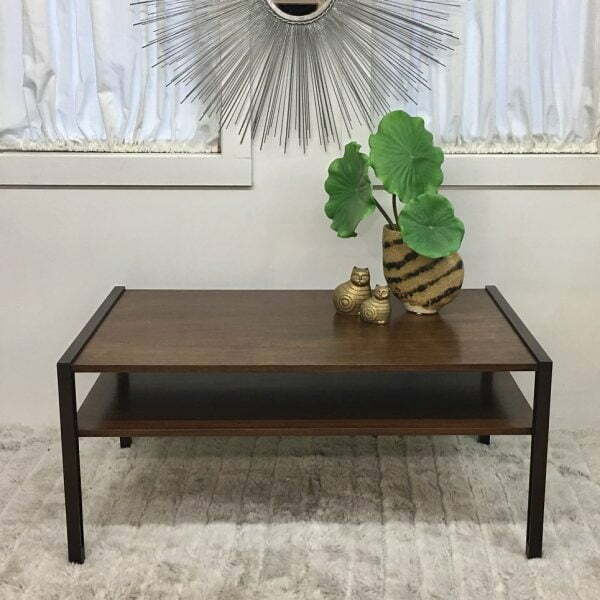 Edward Wormley certainly did a great job designing this elegant coffee table. 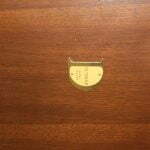 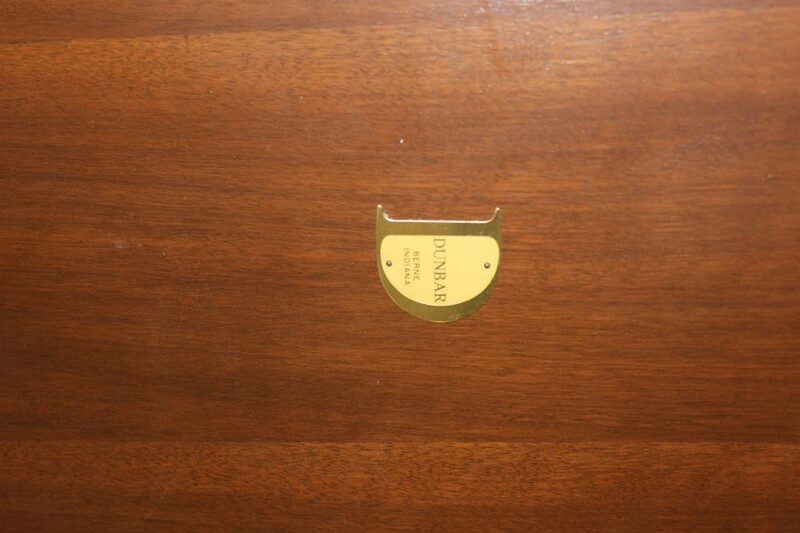 The finish is in near mint condition and on the underside, the tags are still attached. 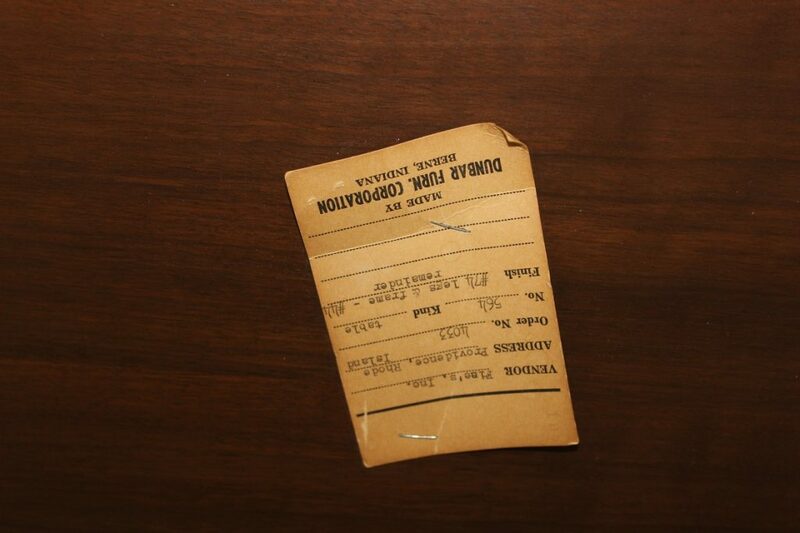 One of them is the metal D for Dunbar from Berne Indiana and the other one is the paper tag that says who sold it, the model and in which state. 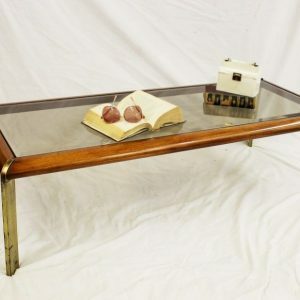 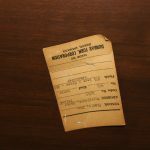 It measures 48″ long by 21 1/2″ high and 28″ deep.